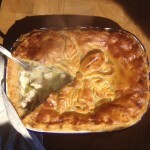 Who can resist a good pie?- and this is a very good one. If you have made your own pastry that's all to the good, but if not, it will still be a thing of beauty and everyone will love you for it. 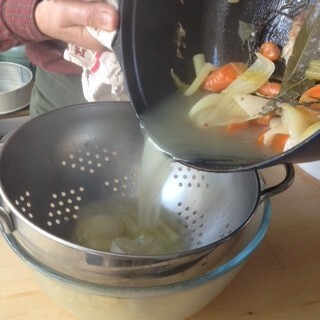 Poaching the chicken is a really good wheeze as it not only gives you really tender meat but the stock is sublime. You will have too much so plenty leftover to make a wintry soup, sauce or base for risotto. 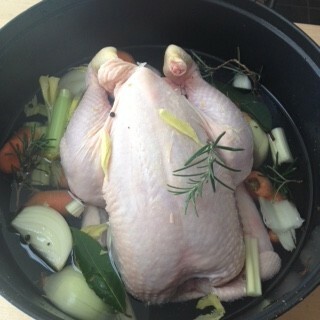 Put the chicken in a heavy pan with the carrots, celery, onion, bay, rosemary, peppercorns and salt. Pour over cold water to come halfway up the chicken. Bring to the boil, then reduce the heat to a gentle simmer, cover tightly and cook for 1-1/4 hours until the chicken is very tender. 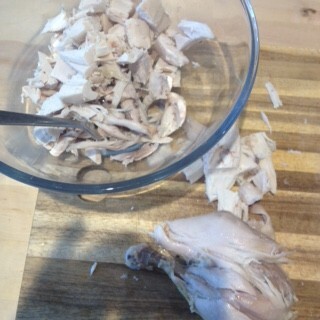 Remove all the meat from the chicken and cut into bite sized chunks. Heat the oven to 200C/fan 180C/Gas 6. Put a baking sheet in the oven. 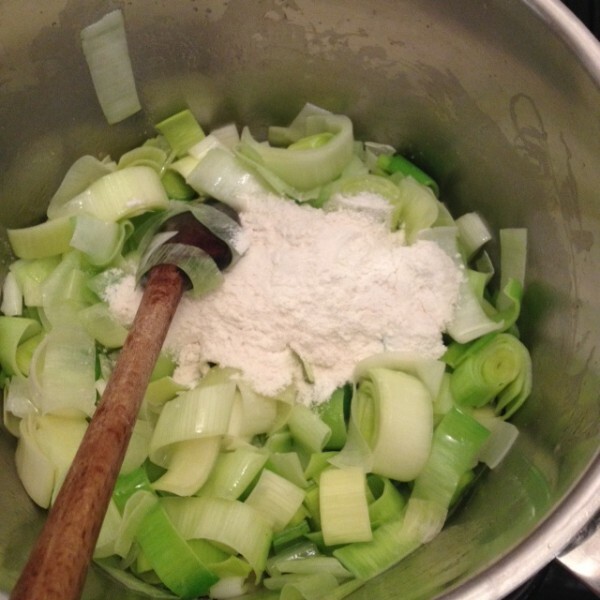 Heat the butter in a large pan, add the leeks and cook gently for 2-3 mins until slightly softened. Stir in the flour and cook for a minute. Gradually add the stock, stirring all the time until the sauce is thickened and smooth. 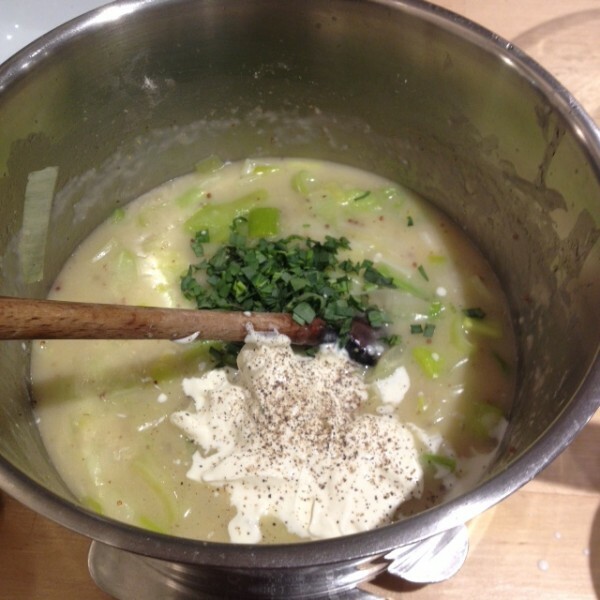 Simmer for 2 mins, then remove from the heat and stir in the mustard, crème fraiche, tarragon and lemon juice and zest. Taste and add more seasoning if needed. Stir in the chicken, then transfer to a 11/5 litre deep pie dish. Put a pie funnel in the centre of the pie, if you have one. 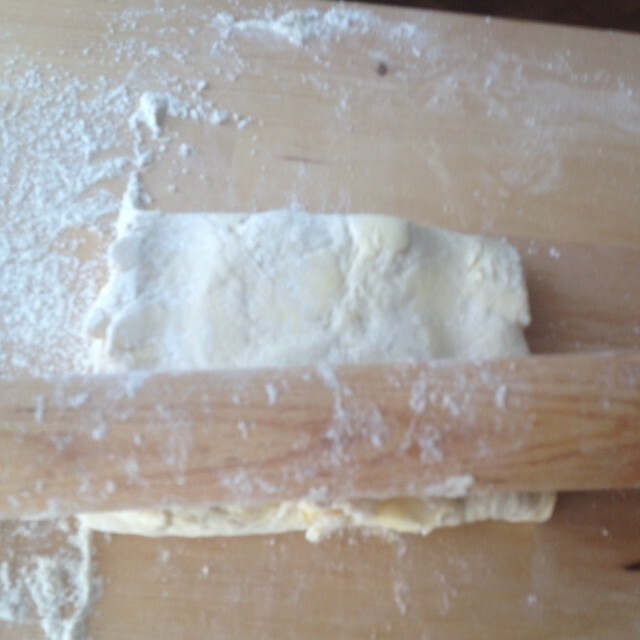 Roll out the pastry to about 5cm all round than the top of the pie dish. 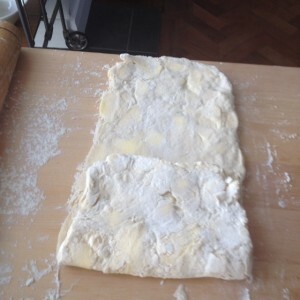 Cut a strip all round the rolled out pastry, about 2cm wide. 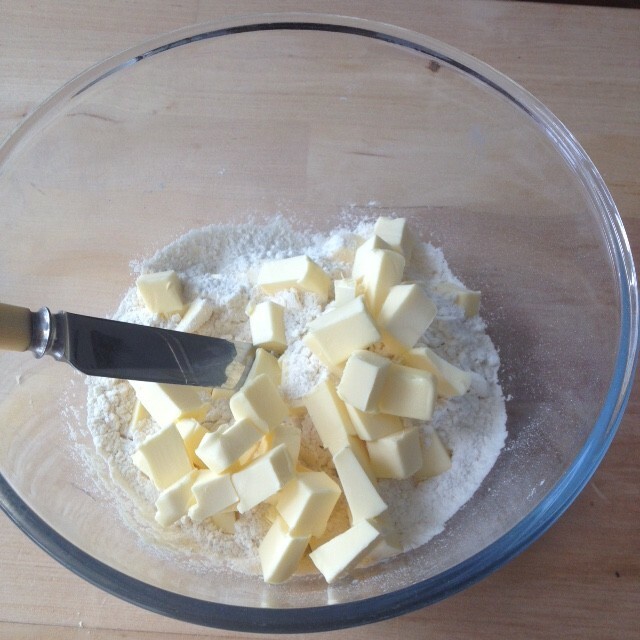 Brush the rim of the pie dish with a little beaten egg, then press the pastry strip onto it. Brush the pastry strip with egg, then lift up the main piece of pastry to cover the pie. 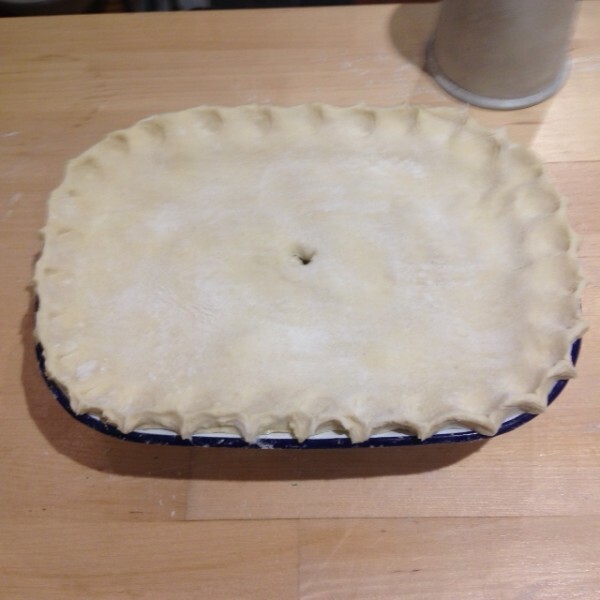 Press the edges firmly to seal the pie, then pinch the edges all round between your fingers. Make a hole in the centre of the pastry with the tip of a knife, then brush the pastry all over with egg. Use the trimmings to decorate the pie as you wish, then brush the trimmings with egg. Bake for 25-35 mins, until the pastry is crisp and deep golden. Serve with a good seasonal green veg such as buttered cabbage, kale or broccoli. A pile of carrots or some roasted sweet potato chips on the side are also good. 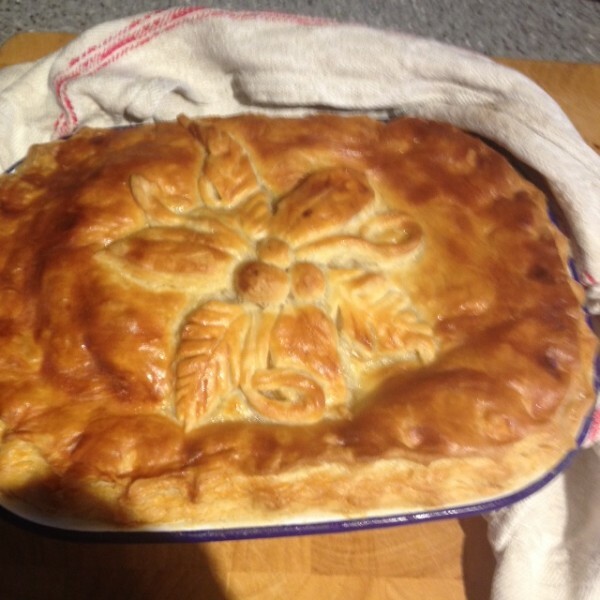 This entry was posted in Baking, meat and fish and tagged baking, chicken, comfort food, leek, pastry, pie, winter on 12th January 2017 by marycadogan. 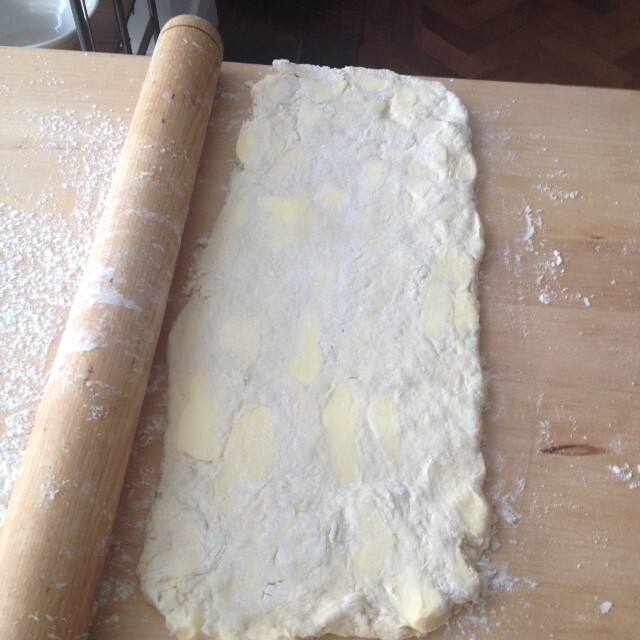 I haven’t made puff pastry since college days, too complicated, too specialist,cba(can’t be arsed) but rough puff is a different matter. So easy to make, so satisfying, so silky to the touch. And a pie topped with home made pastry is a thing to celebrate- and we have much to celebrate at the moment. My step-daughter Zoe gave birth to a plumptious baby girl last week (hurrah) and when asked what she needed from us when we next visit top of the list was food, particularly the kind you can eat one-handed as greedy little Martha needs constant feeding. So a pie it is. Chicken and leek I reckon. The filling can be scooped up with a fork and the pastry, well if you cook it well it will be crisp enough to be hand-held. Before you start make sure your butter is nice and cold. Best to weigh it first, then return the weighed portion to the fridge for an hour if time allows. Well chilled butter is less at risk of melting during handling which can be a messy business. 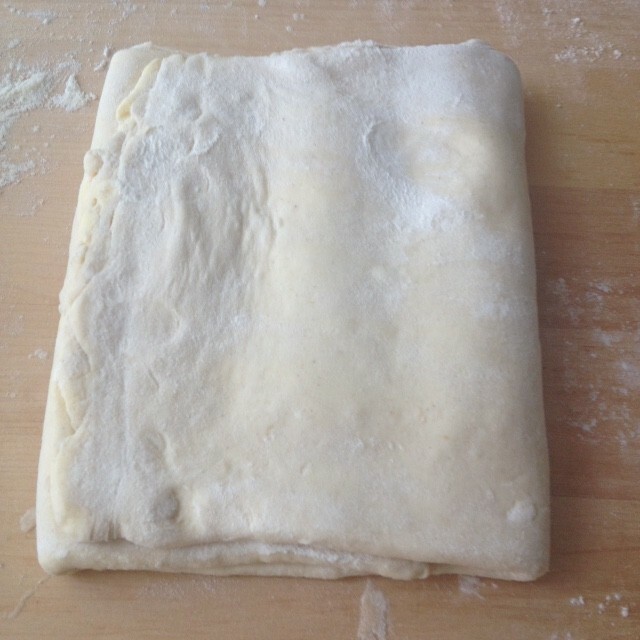 Once made, the pastry can be used straight away in pretty much any recipe that calls for puff pastry, or wrap it in cling film and it will keep in the fridge for several days or freeze to use later. So get this made and tomorrow I’ll give you the recipe for the pie. If you would love a hands-on session I still have a place or two available on my pastry making workshop this spring which will also cover choux and sweet shortcrust. http://www.marycadogan.co.uk/workshops/ The sessions will be held in the light and airy kitchen of my cottage kitchen in the heart of Somerset and will be very relaxed and informal There is also a breadmaking workshop if you’ve always wanted to master a good loaf. Both are full morning sessions with lunch and plenty of good things to take home. 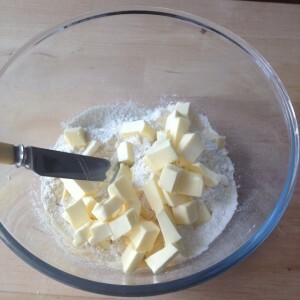 1 Cut the butter into fingernail sized pieces. 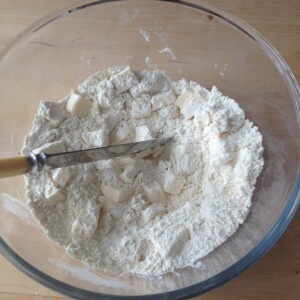 Tip the flour into a mixing bowl and add a little salt. 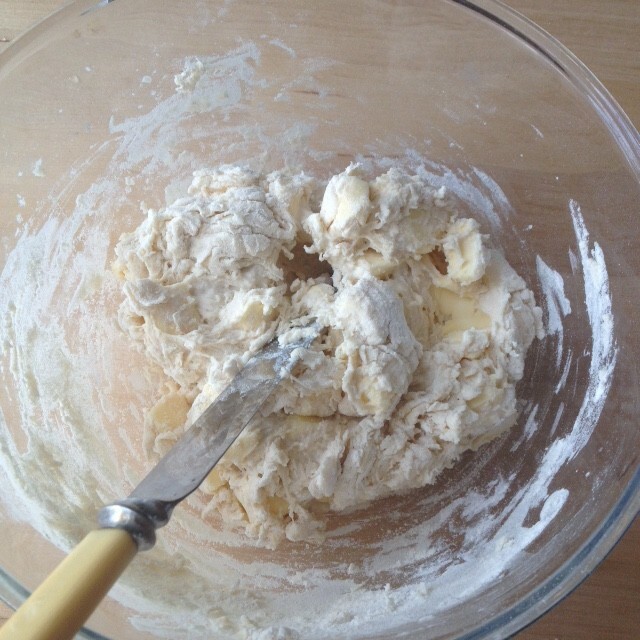 Add the butter and use a round ended knife to evenly distribute it through the flour. 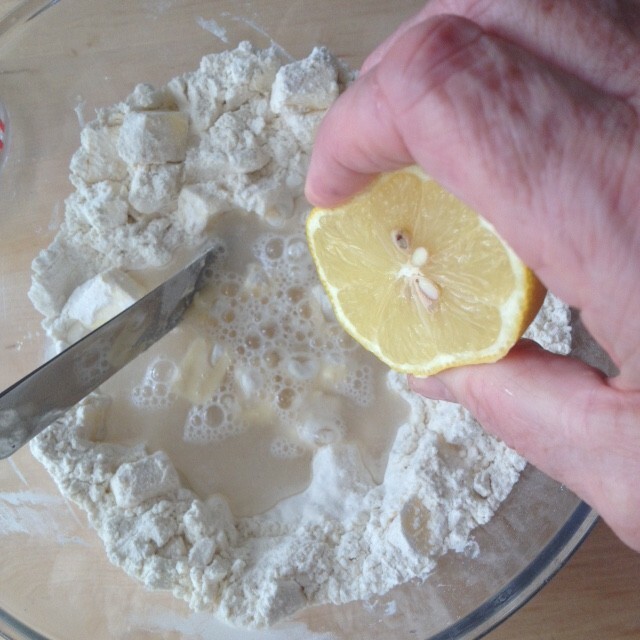 2 Add the lemon juice and water and mix with the knife to soft lumpy dough. Add an extra tbsp of water if needed. 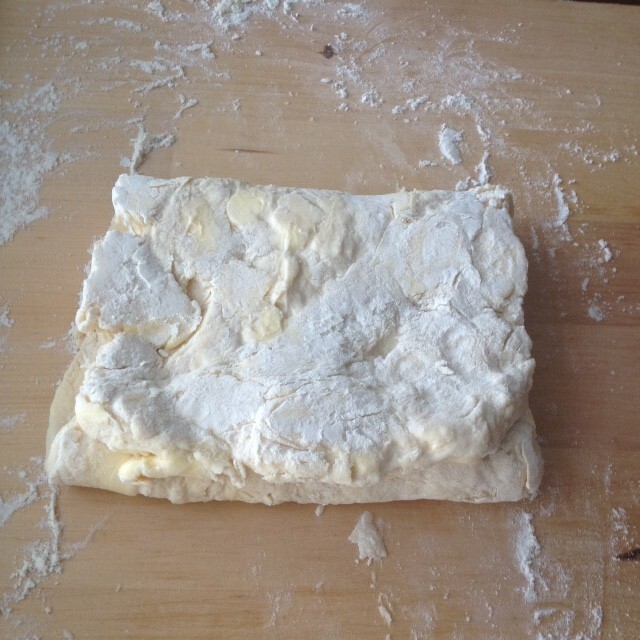 Turn the dough out onto a lightly floured surface and shape into a square. 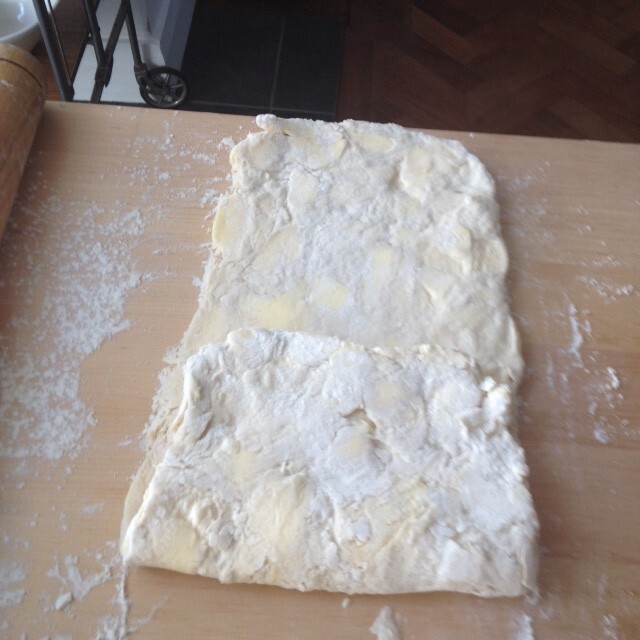 3 Roll the dough out into an oblong about 36cm x 12 cm. Fold the bottom third up and the top third down to form a square. Seal the edges with a rolling pin, then give the dough a quarter turn and repeat the rolling and folding. Chill for 20 mins. 4 Repeat the rolling and folding twice more(6 times in all), then chill for a further 20 mins. Your pastry is now ready to use. 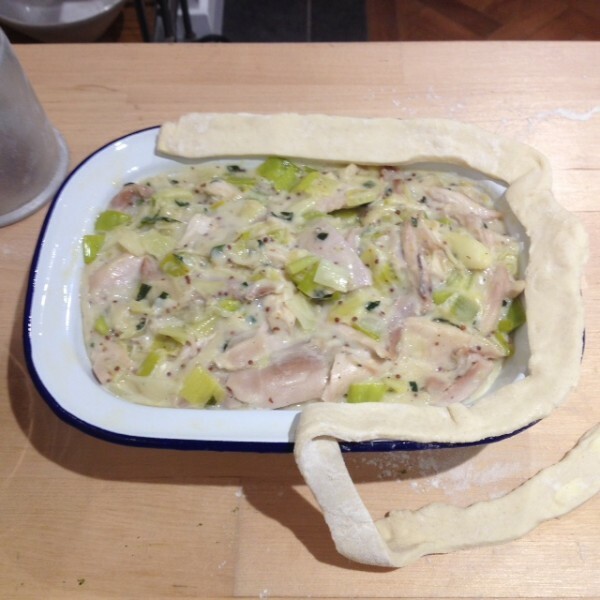 This entry was posted in Baking and tagged baking, bread, chicken, cookery course, January, leek, pastry, pie, rough puff pastry, workshop on 11th January 2017 by marycadogan.